At a conference hosted on 14 November by Numeca International, Marco Bovio, Senior Research Hydromechanics Engineer at Damen, presented details of internal research CFD based project ‘Gone With The Wind’ (GWTW). 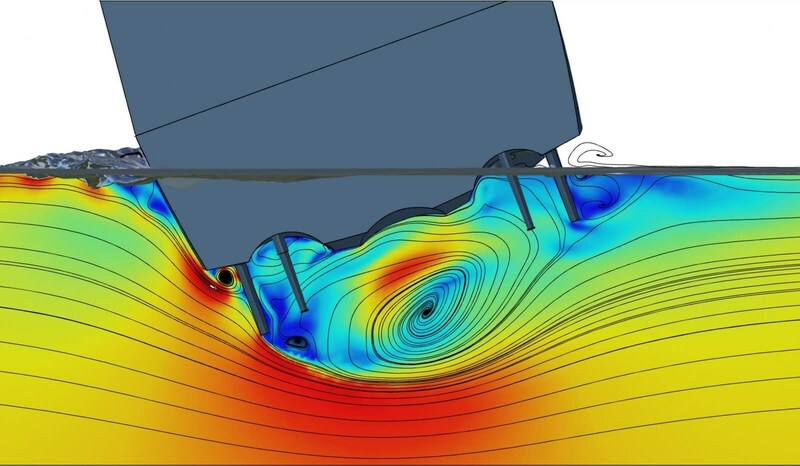 For the past two years Damen has been conducting a review of CFD technology and its applications in the maritime industry, and GWTW has been addressing one specific aspect of this. 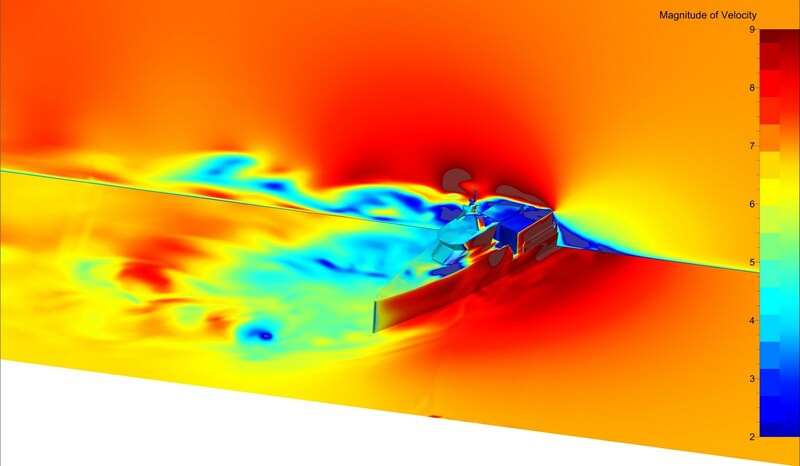 Its purpose, to look at the capability of CFD to accurately model the aerodynamic forces that act upon vessels above the waterline, as a separate analysis to those CFD studies that focus on the interactions that occur below the surface. The specific issue being addressed has been the challenge of meeting the requirements of the IMO regulation 749.18. Its objective is to ensure that vessels have sufficient transversal stability to resist over-rolling in severe side winds, but the rules generally proposed by the Classification Societies are conservative so as to cover the full range of vessel designs. This makes it difficult for long, slender vessels to satisfy the empirical requirements of the rule without undertaking extensive and costly experimentation. This has a direct impact on both the time needed and the cost of gaining certification for vessels such as Damen’s monohull Fast Crew Suppliers (FCS) and their variants. Typically, data has to be gathered from physical assessments using scale models in towing tanks and wind tunnels. The objective of project GWTW has been to develop a CFD methodology to replace the physical assessments for vessels such as Damen’s FCS range that will demonstrate compliance to the satisfaction of the classification societies. At the same time, for Damen and its clients a successful result must deliver both time and cost savings, so the methodology must also minimise computation costs and the turnaround time. GWTW has two main elements. Damen has been developing the CFD methodology in partnership with Numeca while at the same time conducting the physical tests that are needed to validate and verify the CFD calculations, using a 1:18 scale model of Damen’s FCS 3307. The model has been evaluated in a wind tunnel using various heading and heeling angles while the computational software has been configured to reproduce the conditions in the wind tunnel to a high degree of accuracy. 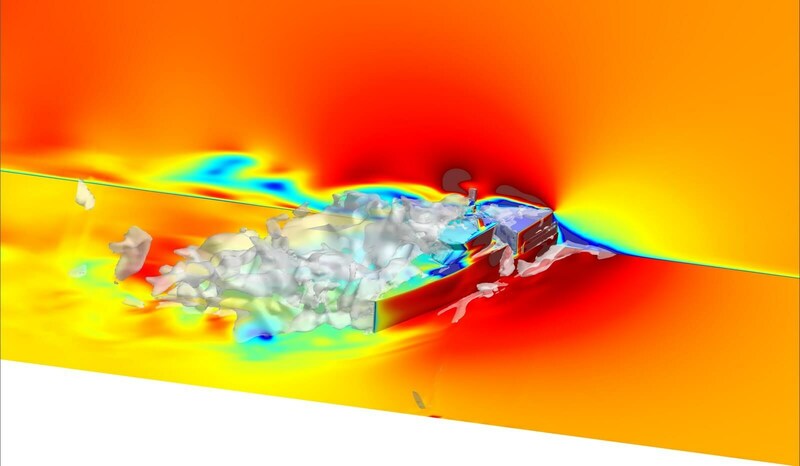 Simulations using the FCS 3307 were then run using two separate CFD mathematical models; URANS and DES, to determine their efficacy and compare them with the findings of the wind tunnel testing programme. 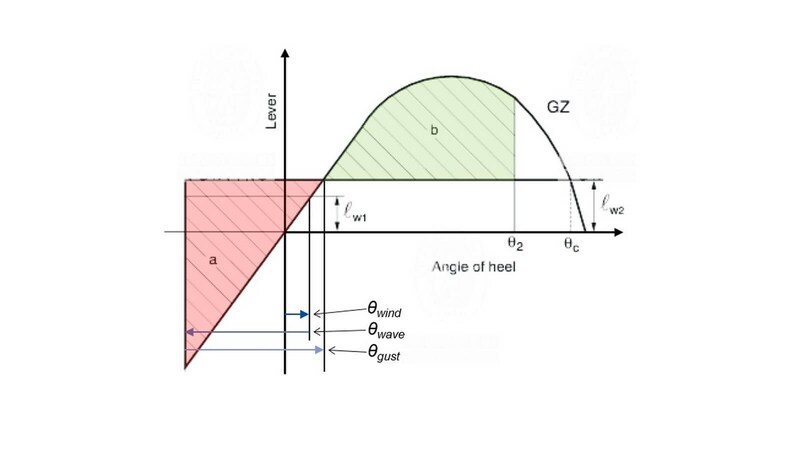 In summary, the CFD model has reproduced the wind tunnel experiment and tunnel apparatus to a high degree of accuracy across a range of simulated conditions and achieved good correlation for forces and moments at various heading and heeling angles. Work is now underway to adapt this methodology to full-scale prediction, with only minor changes anticipated. Meanwhile, parallel activities are currently taking place to carry out the CFD validation of the hydrodynamic related part of the study, which will complete the demonstration of how vessels of this type achieve the transversal stability required to resist over-rolling in severe side winds, and so satisfy the demands of the regulation. The concluding objective of the project will be to present the fully virtualised assessment procedure to the Classification Societies in order to have this generally accepted for compliance purposes. Click here to see full details of the project.